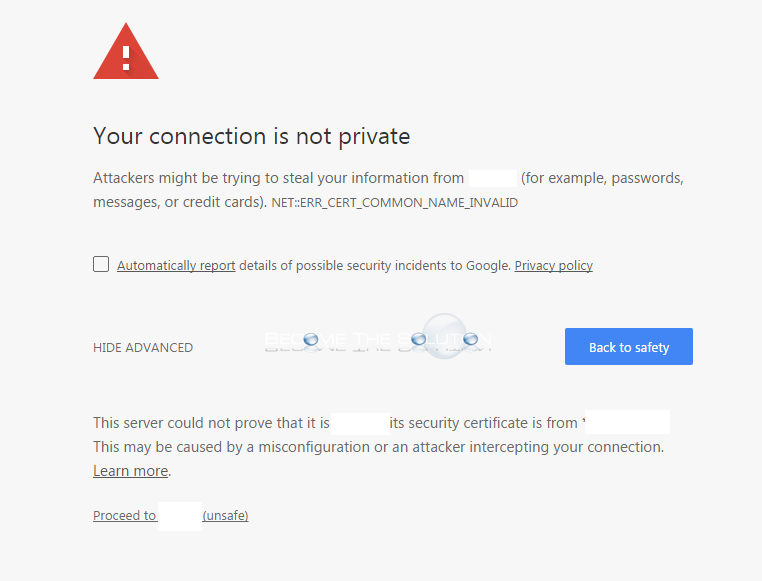 You may receive an error while browsing an HTTPS site using Google Chrome. This server could not prove that it is “” its security certificate is from “”. This may be caused by a misconfiguration or an attacker intercepting your connection. The error means that the SSL certificate installed on the website server is not correctly configured. The most likely issue is the webserver is using a self-signed certificate which by default is not trusted in web browsers, like Google Chrome. One issue may be your computer date and time are incorrect. Check to ensure your system date and time are correct. The webmaster either needs to create a valid SSL certificate or you can manually import the certificate into the Google Chrome certificate manager (which is done in Windows Certificate Manager or Mac OS X Keychain) – but this is not recommended. Quick Fix: Click Advanced then Proceed to “” (unsafe) to continue browsing the website.